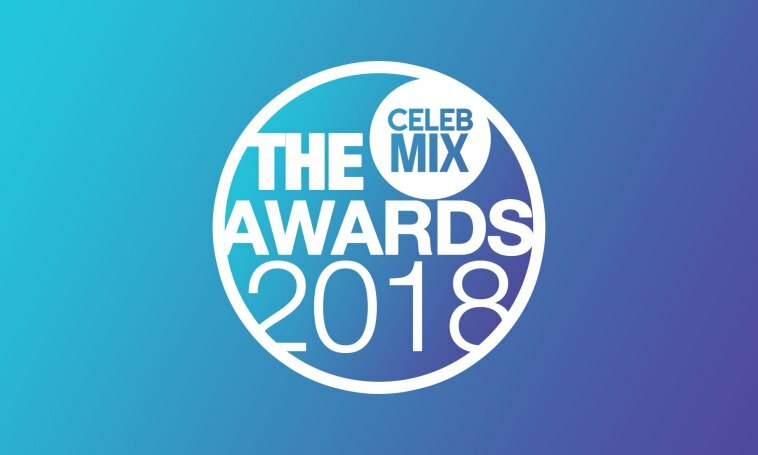 The voting for the annual CelebMix Awards was tight when it came to Philanthropist of the Year. The site announced the winners Dec 22, confirming what most fans already knew. 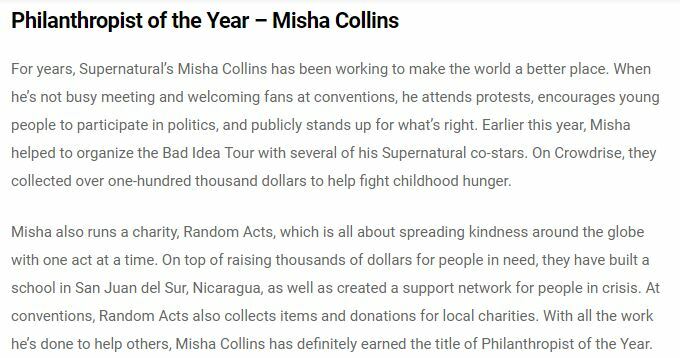 Misha Collins is the Philanthropist of the Year. It was an intense month of voting for One Direction and Supernatural fans as Collins slowly but surely took the lead from Harry Styles. Directioners were tweeting in confusion over who Collins was, prompting a bit of gentle ribbing from Gish’s Charlie Capen. Ultimately Supernatural fans held Collins’ lead until the end of voting on Dec 21 at 7am EST. The fandom urged voting activities on Twitter, Facebook, and Tumblr in an effort to show their support for Collins’ many philanthropic endeavors. CelebMix summed them up in their announcement post. Rachel Miner, Executive Director of Random Acts, offered her congratulations via Twitter as well. Ever humble, Misha deflected his win to the fandom. Congratulations to Misha Collins and all those nominated. Your focus on making the world a better place inspires us all. Star Wars ‘Tsum Tsum’ Available February 16, 2016! Next story ‘The Magicians’ Season Three Drops on Netflix Today!